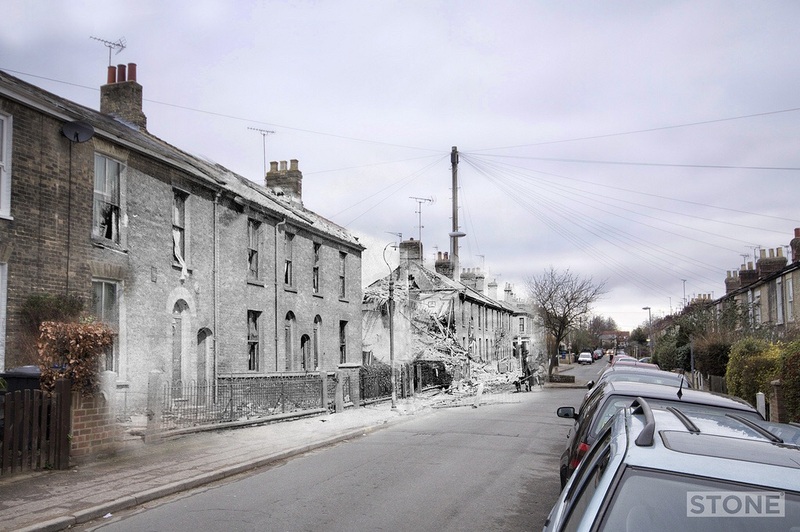 Alexandra Road, another Norwich Blitz Ghost. 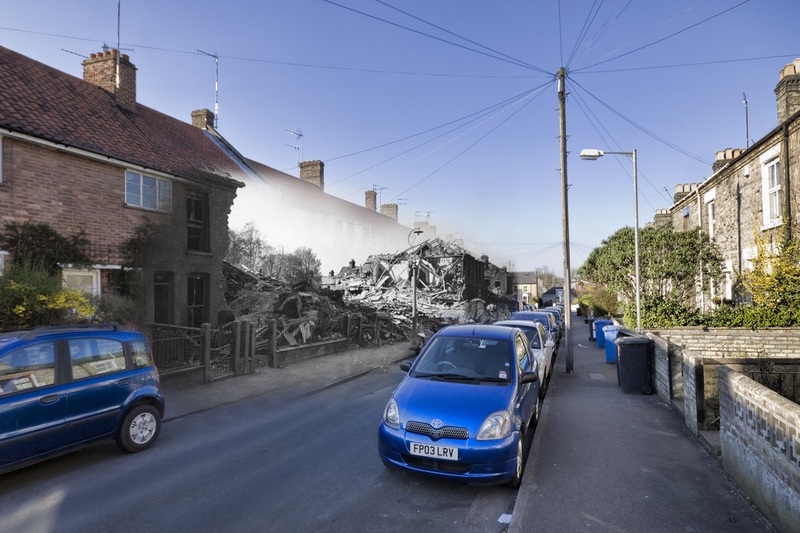 A 250kg bomb took out about 4 properties, quite a precise slice, which is still very evident if you look at the row today the missing block was replaced with a more modern variant of the generic terrace, a pattern you can see across most of the city, but particularly this area to the West along Dereham Road and the area along and around Aylsham Road, Patteson Road in particular. Little of the city actually escaped completely, it has been estimated that over 75 per cent of the housing stock was damaged in some way, everything from scenes like this to tiles off, windows out, and the contents of the chimney emptied all over the place. What is remarkable is the number of people who actually stuck it out and despite the stories of ‘trekking’; the practice of walking out of the city at night and sleeping in hedges and fields around the city, a remarkably large number of people stayed put, in shelters, under tables or just in the houses. Some families were even bombed out more than once. This one is for Julia Agnes Neve aged 85, she lived at 29 Alexandra Road. Also Ernest Burton his wife, Clara, and their children Sybil 13 and John 19 who lived further down at 46. On Wednesday 29 April 1942, they died here. Because how ever real I try and make it doing this, this is what makes it real. 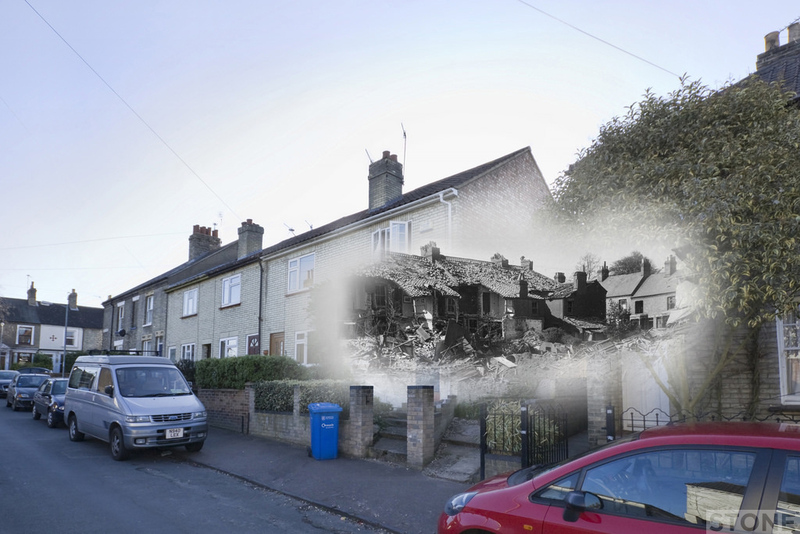 Helena Road, “Hardly a house left habitable” this whole area was peppered with 250 and 500kg bombs on the first night of the Baedeker Raids. There is a lot of evidence of damage, St Thomas’ and Winter Road, Helena Road and Edinburgh Road, and of course Stafford Street, which houses the best chippy in Norwich. Winter Road lost the backs of all the houses, I have a photo somewhere, there’s a house in the way so it will never make a great ghost image, you can see this by wandering down there (and being stared at like a tall rather overweight burglar in my case) and see the backs are built of engineering brick. This one is for Clare and Nellie Betts, both aged 63 who lived at Number 8, they died in the raid. The Alexandra Road photo is of unknown provenance, resides with the ECN archive, I believe it to be George Swain. The Helena Road photo is from an original print which is by Swain. All of these images are so powerful- thank you for creating them and sharing them. I have been looking into why some of the houses along my road (Helena Road) are so much newer, just for my own interest. 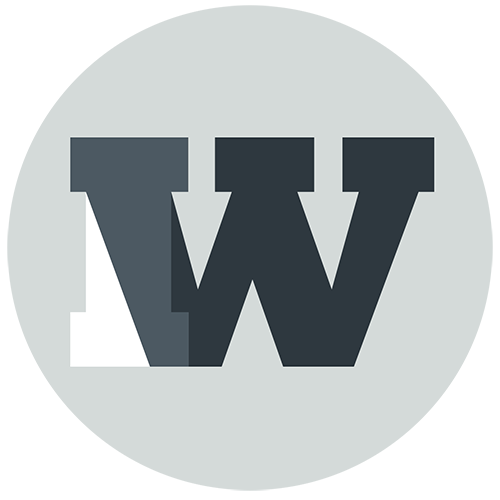 I suspected that it was because many properties had been destroyed during the war and this has confirmed that. The Norfolk historic maps website has also provided an interesting insight into how this area has changed over time. Thanks again, I have really enjoyed looking through the Ghost images.